Home Trials: A Free Lunch? 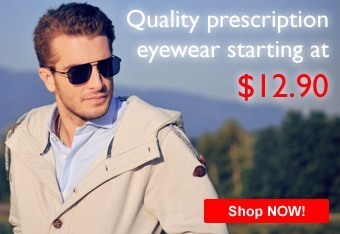 Buying Eyewear on the Internet? Is That Possible? Eye Exams: How Much and How Often? Eye Doctor: Where Should You Go? Can We Slow the Progression of Myopia in Kids? Can't See the White Dot in Your Pupil? Finding a frame that fits on the internet isn't always an easy task. A virtual mirror is very helpful in terms of deciding whether the frame looks good on your face or not, but if the fit isn't right... Well, that would be no good. We've put together a little guide on how to pick a frame that will fit correctly on your face. Read on for helpful tips. Not sure what size for your frame to select? Here are a few easy steps for finding the perfect size frame for your face. Please have your current frame handy, so you can measure and compare. Also, have a mm ruler handy. Don’t have one? Click here to download one. First of all, locate your frame size on your frame. This is usually printed on the temple of your glasses, or sometimes on the back of the nose bridge. Let's use this frame size as an example: 53-19-140. This stands for lens width - distance between lenses ("bridge width") - temple length. Your frame dimensions give you only half the story. Adding 53 + 53 + 19 gives you 125, which is the width from one end of the lenses to the other (not including the rims on the outsides). It makes more sense to measure the total frame width (including the rim on the outside). To measure total frame width, just place your frame on a ruler. If you want the fit of your next glasses to be wider or narrower, just add or subtract from the value you measure. For temple length, it's again the same story; the size on your frame gives you a measurement for temple length, but it is only the length of the temple starting at the hinge.This can be misleading, because some frames have the hinges placed further back than others. In general, it would be better to measure total temple length. This is measured from the back of the front of the frame to the end of the temple. Are you measuring a frame with adjustable nose pads? Then you can use the dimension found printed on your frame (19 in our example). 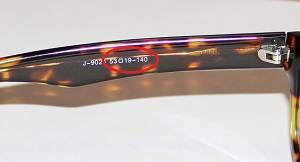 If you can't read what's printed on your frame, measure the shortest distance between the lenses with a ruler. If you are measuring a frame with a fixed nose bridge (most acetate, TR-90 and plastic frames): The best and most accurate way to measure these bridges is by measuring the SBF of your frame (click for instructions). That will ensure a frame with a perfect fit on your nose. Now you're ready to search! Simply go to the "Frame Search" (in the blue navigation bar at the top of the page). Select a filter for your frames: gender, prescription type, shape, style, etc. Once you're on the frame gallery page you can use the buttons on the left to narrow down your search. Scroll down a little, and click on "More Options". Fill in the value ranges in the first 3 boxes (labeled "Total frame width", "Total temple length" and "Bridge width"). Do this one by one, as the search is updated after each change. Now you have a selection of frames that should fit you perfectly. With this base selection of frames that will fit, it is easy to further narrow the search, such as color, material, shapes, only frames fit for progressives, etc.